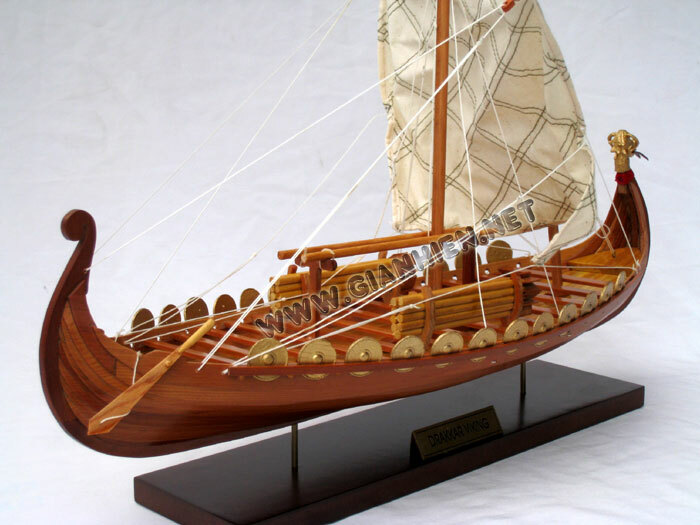 Model is handcrafted from hard wood with clinkerbuilt hull with overlapping strakes construction just exactly like the original Viking ship has ever been built. 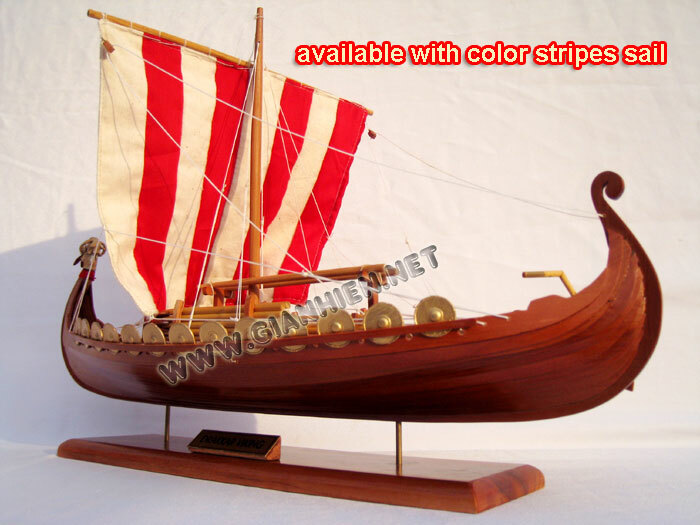 Today we have a quite clear impression of what a viking ship really is. 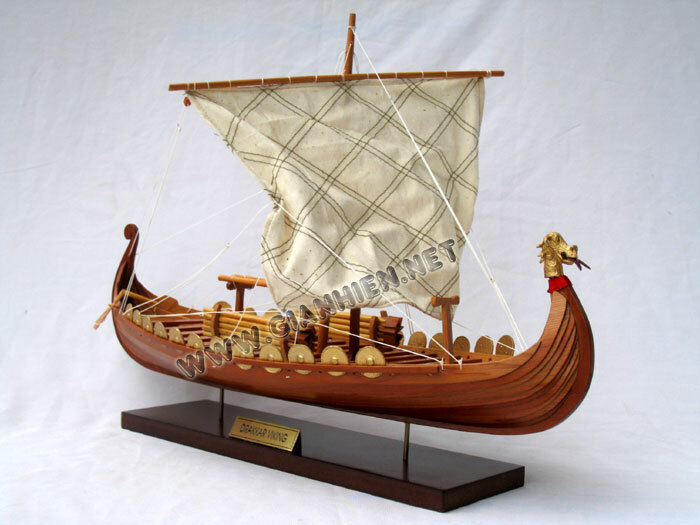 But the vikings themselves never used the term "viking ship" about their ships. 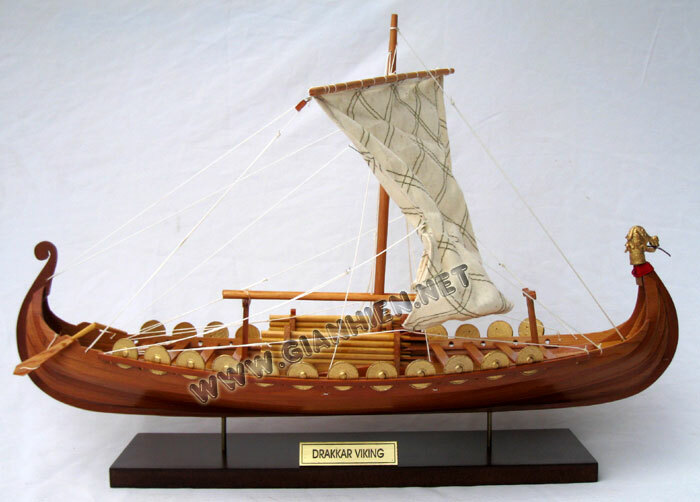 "Viking ship" is a modern term used about a whole group of different ship classes which were used in Scandinavia in the viking age (800 AD - 1050 AD) and in the next couple of centuries. 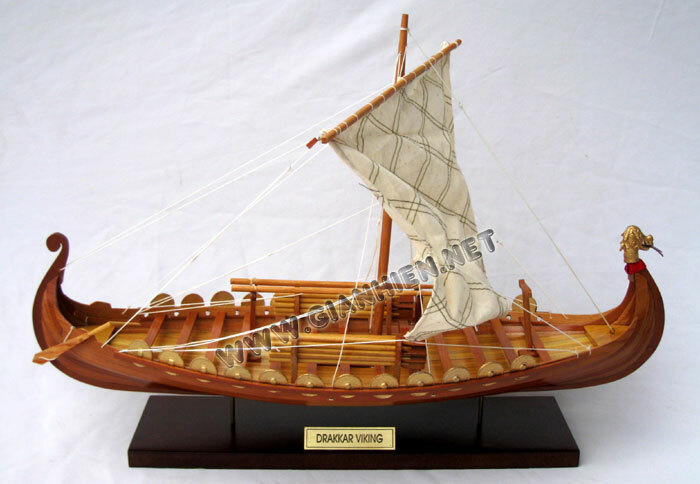 We often associate the term with elegant longships with dragonheads and upright sterns and stems, and a rig with a broad square sail. 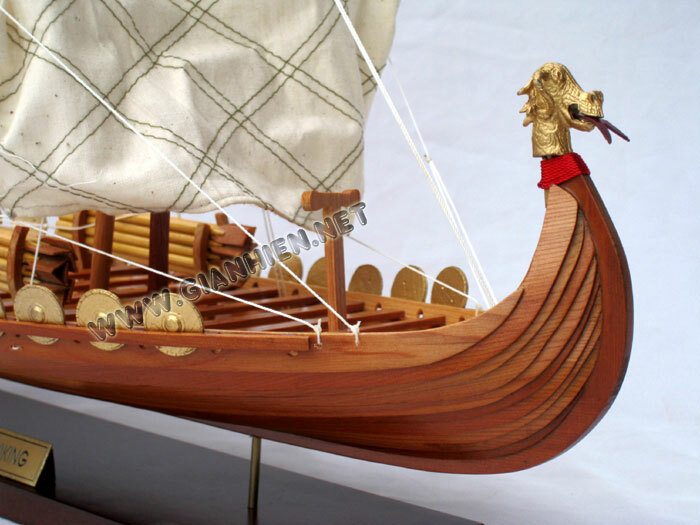 Actually only a few ships were equipped with dragonheads, as they should mark the status and rank of the viking kings. 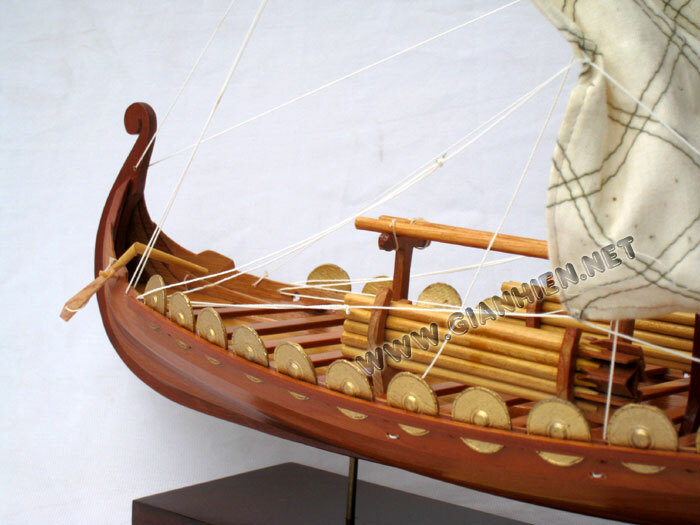 The majority of the ships were more modestly decorated, optimized for sailing abilities, strength, speed and cargo capacity needed for the purpose. 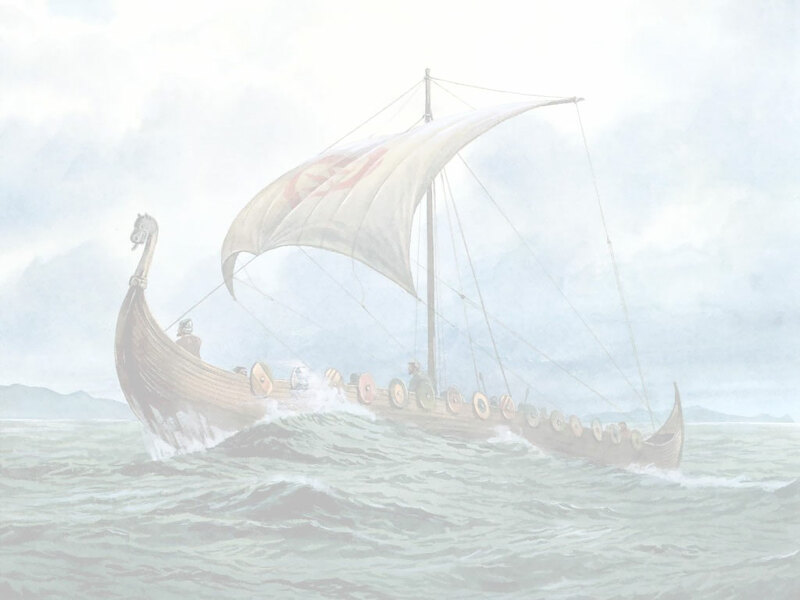 Most of the viking age principles for shipbuilding are still used in western and northern Norway in traditional wooden boat building.